Do you have the skill, technique and supplies to out paint Bob Ross and your opponents? Don't get too stressed, this game can only be won by the most chill person at the table. In this video I will show you what Super Camelot is all about including player turns, game elements, and some game play at the end of the video. I will also give you some of my thoughts on the game and would love to hear from you as well on yours. 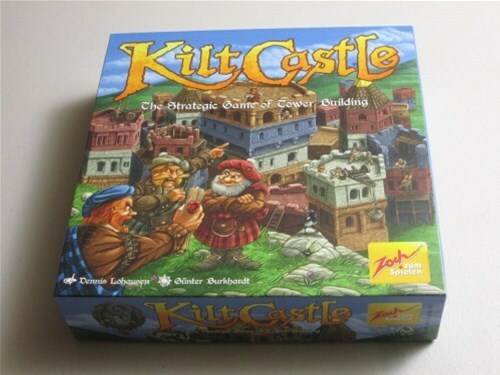 Kilt Castle is a perfect information abstract strategy game for two to four players. Players are rival Scottish family members striving to have the most influence in the castle. The player with the most coins at the end of the game wins. Grackles are known to congregate on telephone wires and sing their noisy, tone-deaf songs (and poop on cars below). 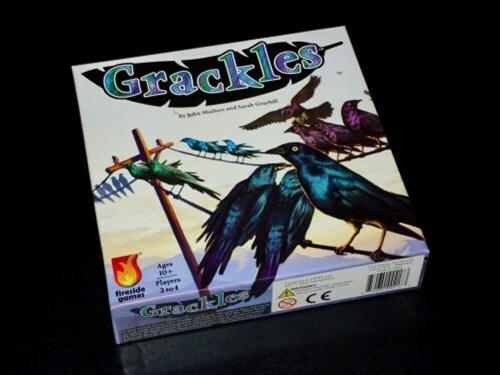 While you won’t be singing in this game (although you can, I suppose), you will be placing your birds on telephone wires and attempting to crowd out the other birds so you can achieve telephone wire dominance. Let’s flock to the gaming table and see if this one flies! 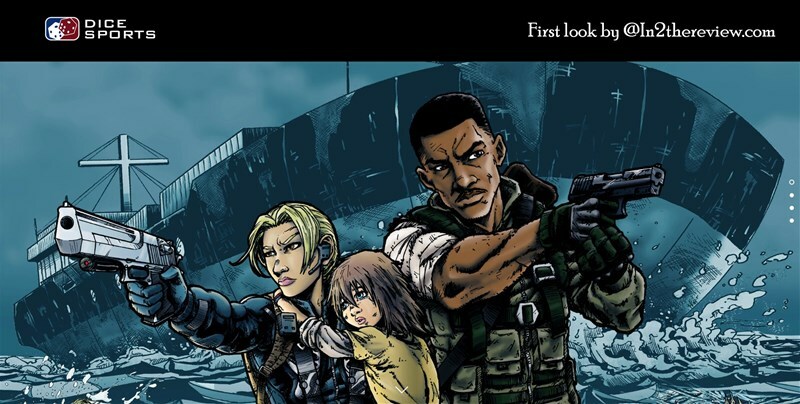 Exodus is brought to you from the same great minds as Z War One Damnation (Dicesports). The Exodus story is set as a prequel to Damnation, the only difference being is that Exodus is a 2 player experience rather than 4 player. Personally I think this is a great choice as there are not enough 2 player games of this kind on the market and not everyone who enjoys the horror survival genre has a large gaming group to play them with, so kudos to the guys at Dicesports for looking out for the 2 player fans! 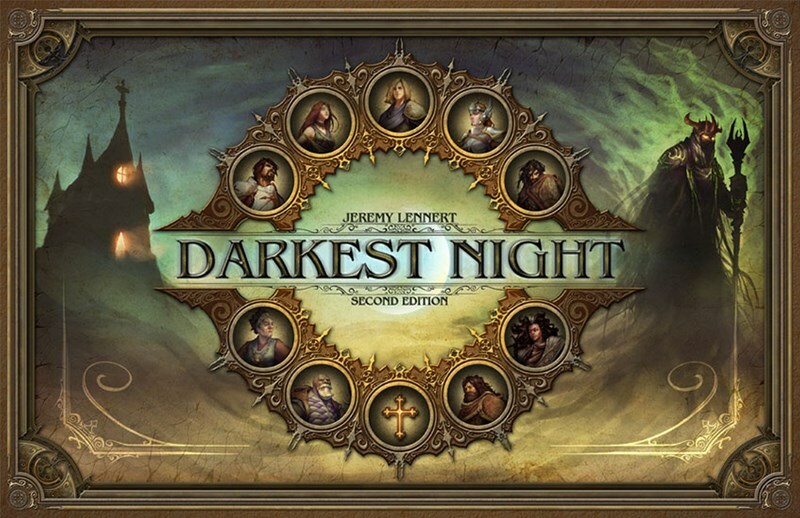 Darkest Night is a cooperative fantasy experience for one to four players. Games last between two to three hours. The objective of the game is to defeat the Necromancer who has destroyed your unnamed kingdom. Each round of the game consists of the four heroes taking their turns in an order determined by the group, followed by the board controlled Necromancer’s turn. Note that the game was designed to utilize four heroes regardless of player count. The Dresden Files by Jim Butcher is one of my favorite book series. I just can’t get enough of the adventures of Harry Dresden and his colorful cast of allies and opponents. Last year, Evil Hat published a card game based on the book series (review here) that I found to be challenging, unique, and a lot of fun to play. 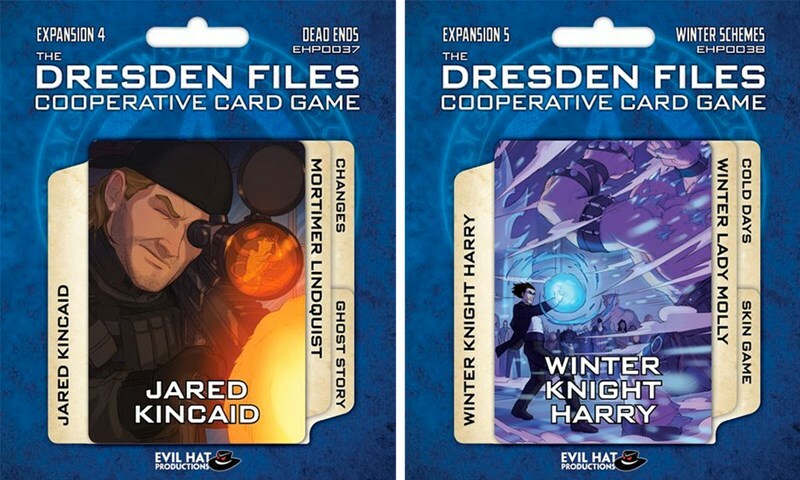 Today we are going to take a look at the two newest expansions for the card game, Dead Ends and Winter Schemes. As they both add a very similar amount and type of content, I’m going to combine both into one review. 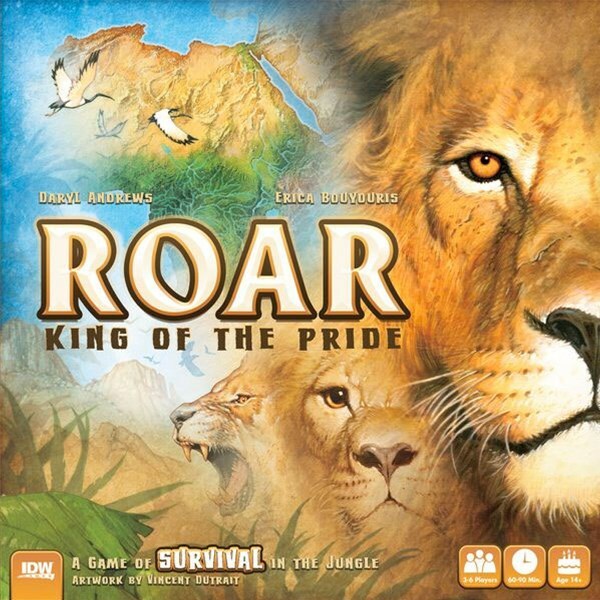 Roar: King of the Pride almost feels like a war game. You will control your pride of lions, moving them throughout Africa, attacking other lions and avoiding the invading human tribes. The game is played over a fixed number of rounds, based on player count, and then majorities are scored for various categories. There are six asymmetric lion breeds available in the game, giving each player a unique ability, starting location, and food reserve. After initial setup, each player will take 2 actions on their turn. Once the round ends some clean up happens, and then a new round begins. The game moves along quite quickly and downtime is almost nonexistent. Today we are looking at a board game implementation of the CYOA license. Based on the book House of Danger, one or more players can take on the role of the private detective protagonist as they search through a local house that is haunting their dreams. 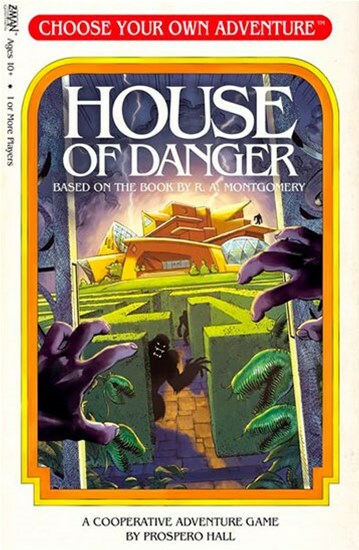 Choose Your Own Adventure: House of Danger takes about 2-3 hours to complete. In theory it can be played by any number of people, but is best as a solo experience. It is established fact that we here at BGQ enjoy ourselves a game of Imperial Settlers every now and again. Between the elegance of gameplay, the depth of strategies available, and the great theme, it is a game we find ourselves returning to with pleasure. Since its premiere, Imperial Settlers has seen three faction expansions and a number of small-box “Empire Packs.” Today, we will be delving into We Didn’t Start The Fire, the latest of the Empire Packs, to determine if this expansion expands the borders of the Imperial Settlers empire for better or for worse. Note: Our discussion below assumes you are familiar with the basics of the Imperial Settlers rules. You can read our review of Imperial Settlers if you want the run down on the base game.